If you’re ready to get rid of the old bag and replace it with a brand new bag, then you need to attend this workshop on Saturday, August 18, 2018, from 4:30PM to 7:00PM. In this interactive, high-energy, educating, and entertaining workshop – we’ll discuss how to take care of your finances, protect your assets and legacy, rebuild your credit after a windfall and get ready for the golden years. Our guest panelist will be Ms. Charlene L Usher Esq., Roshelle Bailey – Credit Specialist, and Felicia Muhammad – Financial Specialist. I couldn’t be more happy and excited to share this experience with you. 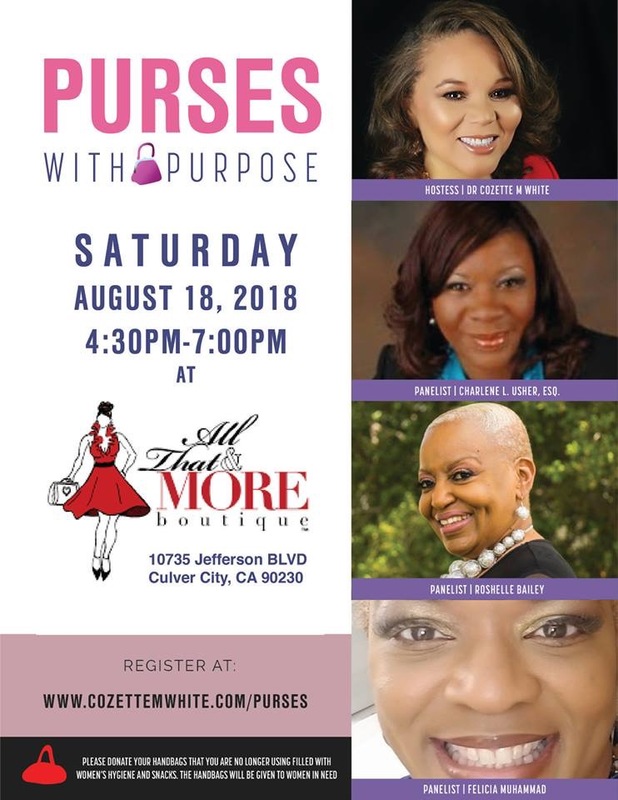 Join us on Saturday, August 18, 2018. We are also featuring N Bar Cocktails, Nibbles, Fashion, a Q&A segment, and surprises!